The WordPress.com stats helper monkeys prepared a 2014 annual report for this blog. We are happy to see that residents in Marion County – and the rest of the United States (and Italy and Brazil) are using the information on our website. Did you know that one of the most common items items of litter found along side the road and by the river after Christmas are discarded Christmas trees — live trees and fake ones with all the trimmings. Can you imagine anything with less Christmas spirit? 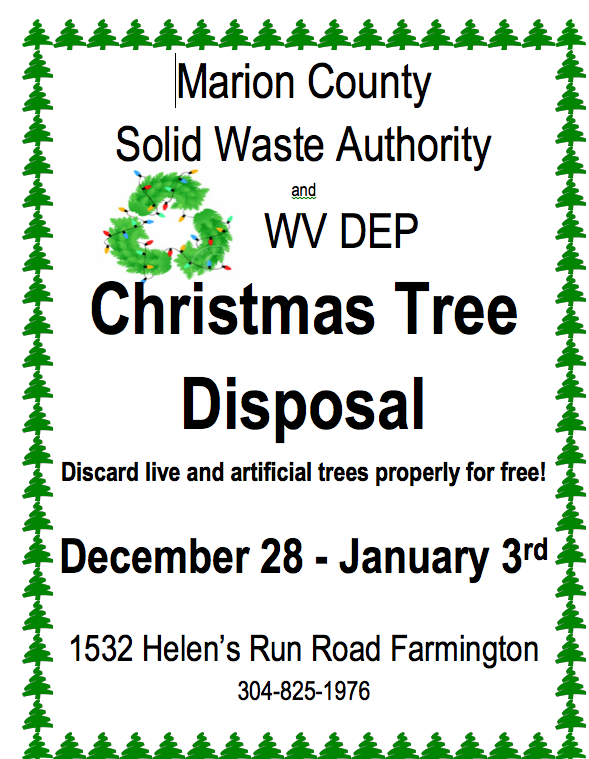 The Marion County SWA Recycling & Litter Control and the WV DEP are working together to provide proper Christmas Tree Disposal. Live Christmas Trees will be used to create habitats for Tygart Lake in Taylor County WV. 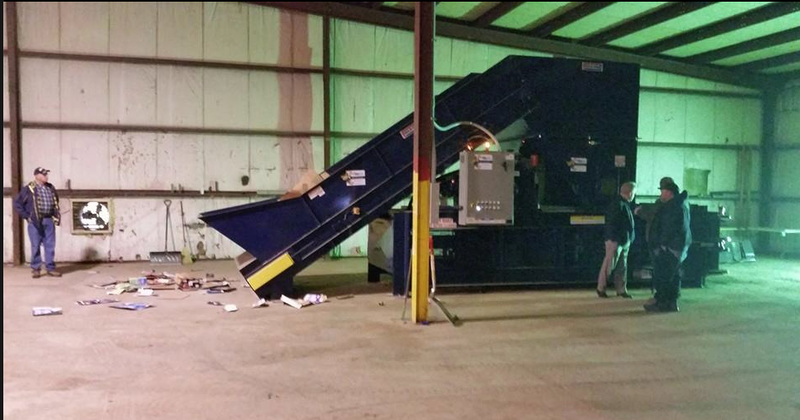 The Marion County Solid Waste Authority, Recycling & Litter Control is very proud to announce that the grand opening of its recycling facility was a great success. We would like to thank everyone who attended and said so many nice things about recycling in Marion County. We couldn’t have done it without the support of the attendees and all of the residents of Marion County. 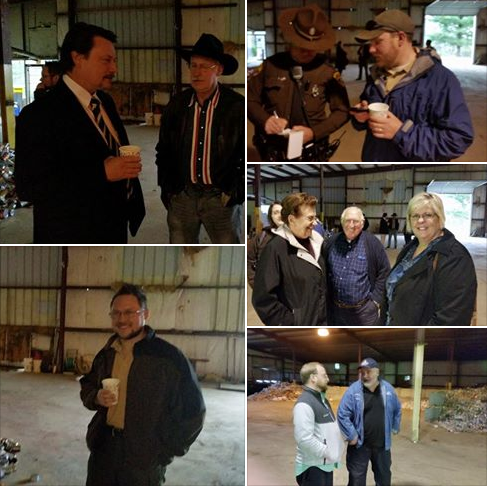 Thank you to everyone who attended our open house – Marion County Commission, Marion County Chamber of Commerce, WV DEP-REAP, WV Solid Waste Management Board, WV DNR- Marion County, WV DEP- Marion County, Marion County Health Department, Marion County Farm Bureau, MarCoSWA Project ALERT Team, and United States Senator Joe Manchin III office. 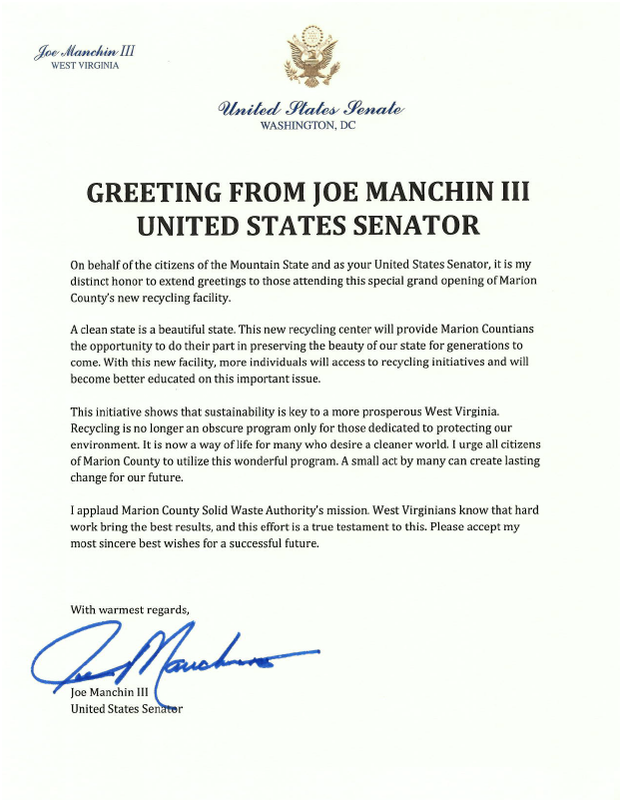 The letter from Senator Manchin’s office sums up the sentiment of the attendees well and is included below. THANK YOU ALL For RECYCLING – Together we make Marion County a Better place to live!